Britain has carried out its first airstrikes in Syria, “successfully” targeting oil fields in eastern Syria controlled by terrorist group ISIS. British Defense Secretary Michael Fallon said the airstrikes had a specific aim of destroying the oil field due to ISIS’ reliance on revenue from oil sales, according to the BBC. The airstrikes were launched less than 12 hours after the British parliament approved the bombing campaign following a 10-hour debate. Although the Royal Air Force has been carrying out airstrikes in Iraq for more than a year, the British parliament blocked Cameron’s request to carry out an attack on Syria two years ago. However, recent months saw an increase in international military action against ISIS. Following the November 13 Paris attacks that killed 129 civilians, France dropped 20 bombs and struck 30 targets in the Syrian city of Raqqa. 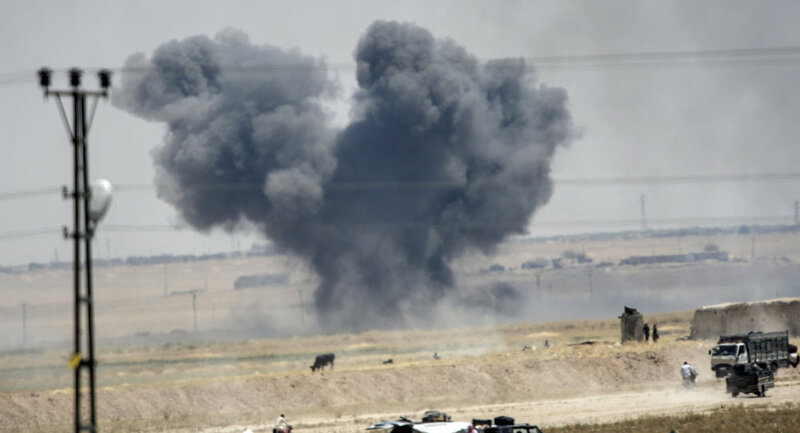 Russia and the US-led coalition have also been conducting aerial bombings. In November of this year, the United Nations Security Council unanimously passed a resolution calling on member states to take “all necessary measures…to prevent and suppress terrorist acts” committed by ISIS, in compliance with international law and the United Nations Charter. According to the Charter, member states are guaranteed the right to “individual or collective self-defence if an armed attack occurs” against it. While the article was initially viewed as applying to attacks by a state, this interpretation was developed to encompass action against non-state armed groups.